Sunyani-based hip-hop/hiplife artiste, Hally Wolf, has hinted of his plans to collaborate with prolific Ghanaian rapper, Sarkodie. Speaking in an exclusive interview with Newshuntermag.com, Hally Wolf said it will be a dream come through if he has the opportunity to feature Sarkodie on his upcoming album. According to him, Sarkodie’s success story inspires a lot of up-and-coming musicians. “It will be a huge blessing to have Sarkodie on my upcoming album. I cannot wait to work with him,” he said. “Sarkodie is selfless and his achievements really inspire others. In fact, many up-and-coming musicians look up to him. Of all what he has achieved, he keeps on working hard. He is such a great teacher to me,” Hally Wolf eulogised Sarkodie. 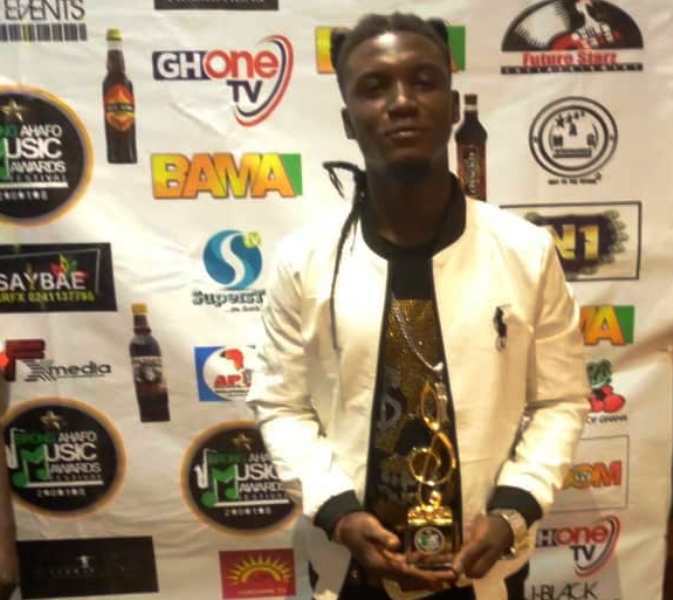 Hally Wolf was crowned as the best hip-hop artiste of the year at the maiden edition of Brong Ahafo Music Awards (BAMA). He is currently promoting his new single ‘Coming Home’ – which talks about how difficult life outside the shores of Ghana is. The SRC Good Music’s frontliner also advised that life is not a competition or a race—so people should keep their heads up and work hard.